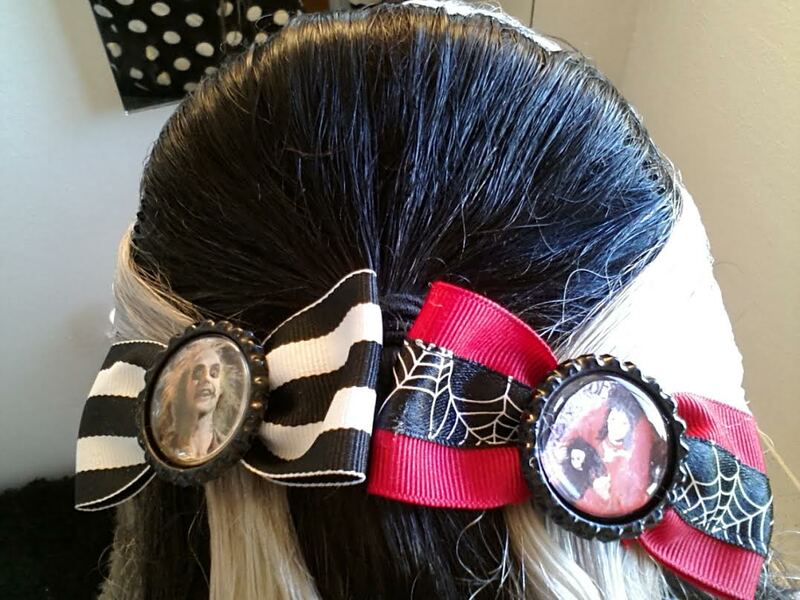 Aqua Net & Koffin Kats! 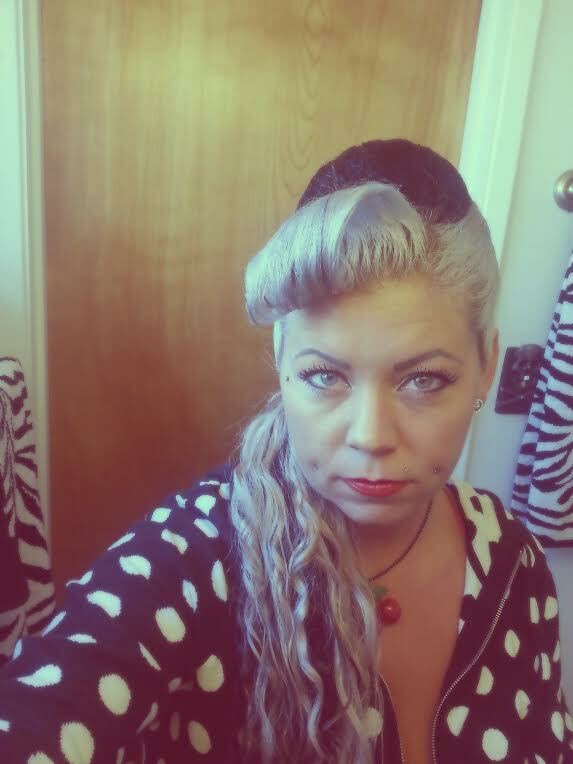 I’ve been pretty lazy about doing my hair lately, mostly because my headaches have been so bad I just haven’t felt like doing anything with it… and because my wild curls have a life of their own- BUT, since I’ve got my car (1957 Savoy) back on the road I’m feeling more motivated to look the part! 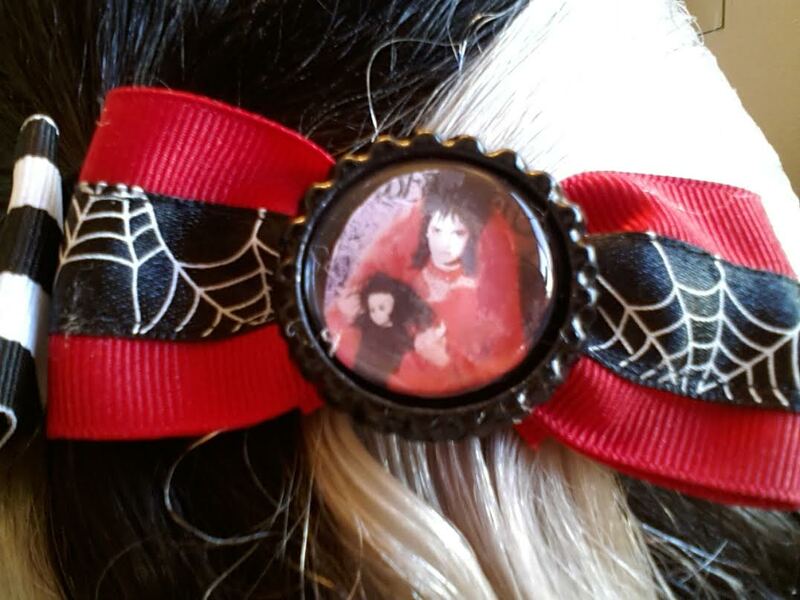 So today I got out the Aqua Net, put on Koffin Kats, and ratted and teased a beehive inspired do, then added the Bettlejuice hair clips I love so much (from Karloff Kouture on Etsy)! 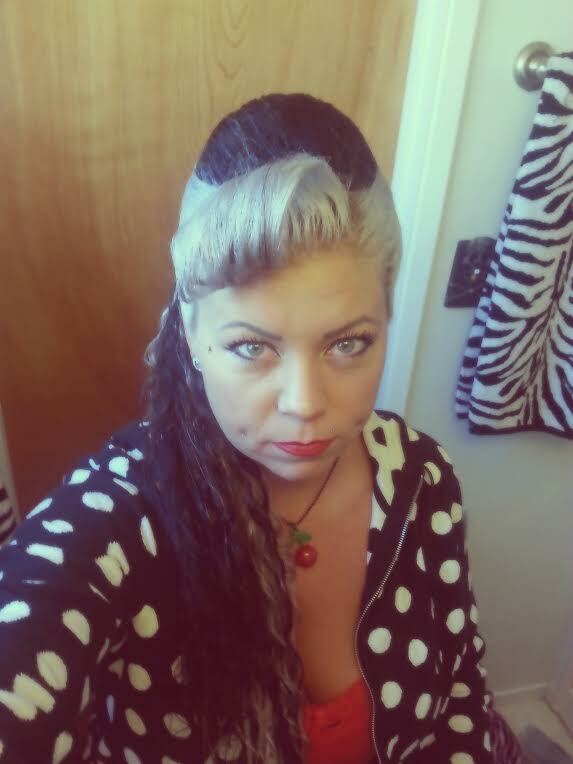 And here is the result of today’s, Rockabilly/Psychobilly- or should I just say- Rockabelle Hairstyle! 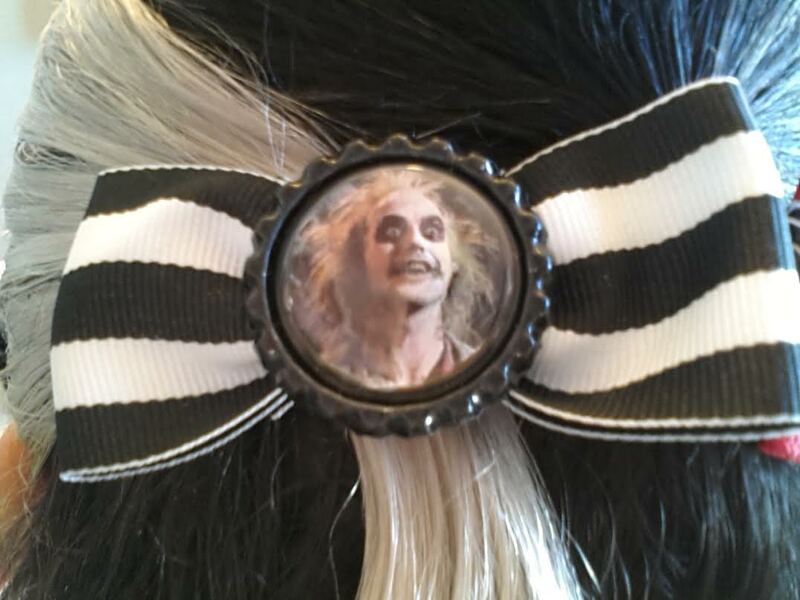 Posted in Psychobilly, Rockabelle hairstyles, Rockabilly Hairstyles and tagged beehive hairstyle, beetlejuice hair, beetlejuice hair bow, beetlejuice hair clip, big hair, karloff Kouture, karloff kouture hair bow, karloff kouture hair clip, karloff kouture psychobilly, psychobilly, psychobilly hair, psychobilly hairstyle, rockabelle, rockabelle hairstyle, rockabilly, rockabilly beehive, rockabilly big hair, rockabilly hair, rockabilly hairstyle. Bookmark the permalink.